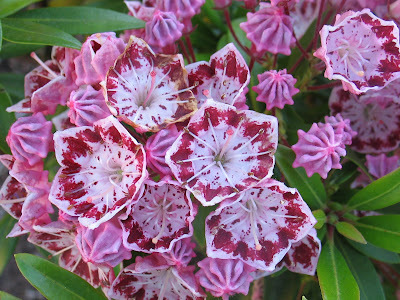 Summer flowers (these are Kalmia -- very showy, no? 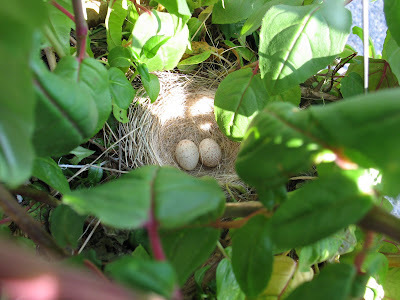 -- even the buds are interesting) and new life (those are junco eggs in our fuschia) give us so much pleasure. We're having very lazy days reading, playing games, watching the birds and squirrels in our backyard, going swimming, even napping. I had hoped to work more productively on my novel revisions, but find that I'm too tired to work at the end of a lazy day. I realize that I need to be able to write daily to keep my equilibrium. Writing is how I make sense of the world, how I process thoughts and ideas. I get cranky without my daily writing fix. My trusty notebook and pen go everywhere with me. Tell me, how do you stay disciplined during the summer? Or do you take the summer off and just recharge, be lazy? Before school days, I worked only on short stories, I mean very short stories, those you can scribble out a first draft in 10-15 minutes, but I find that for longer works I need more than 15 minutes to make progress. An hour with no interruptions is the bare minimum. And I can carve out that time at night ... but I'm sorry to say, my discipline is flagging. The Adoration of Jenna Fox by Mary E. Pearson is the kind of book that makes you think -- deep and hard -- about what it means to be human. As a scientist who doesn't always believe in progress (just because you can do something doesn't necessarily mean you should do it), I found this to be a thought-provoking book. I am usually not a fan of novels written in the present tense, but it is just the right voice for this book. 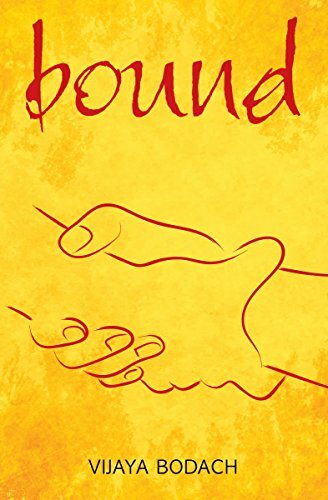 The Doctor by Patricia Duncker is historical fiction that imagines the life of James Miranda Barry, who was discovered upon his death to be a woman. I was instantly reminded of Rough, Tough Charley by Verla Kay, who was able to encapsulate the life of a certain Charley Parkhurst in just 32 pages. Mem Fox was right when she said, "Writing a picture book is like writing War and Peace in Haiku." Harry Potter and the Prisoner of Azkaban by J.K. Rowling is probably my most favorite book out of the series. 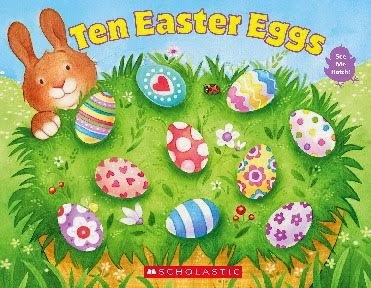 We are finally reading these books together with the children and they are enjoying them immensely. Both kids are also reading ahead, but reading together is something I hope we will continue for a long time to come. 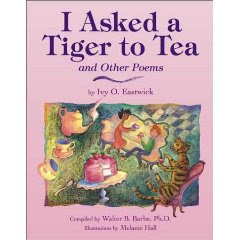 I Asked a Tiger to Tea is a funny book with very funny poems. It has new pictures [by Melanie Hall] to go with old poems [by Ivy O. Eastwick]. My favorite poem is The Extraordinary Puffin because there is a puffin trying to learn all he can -- history, geography, algebra, wisdom and wit. I want to be as smart as he is. May is my birthday month and the poem "May" feels like it was written just for me. I think THE MYSTERIOUS UNIVERSE is a great book because it describes everything it talks about very well. It has lots of facts about light-years, dark energy, supernovae and black holes. It has really great photographs by Nic Bishop. There are even parts that are funny. This is a great book on astronomy. Anybody from 8 to 88 can read it and understand it. Happy Reading! I think my son might well be the first child to have read and reviewed this book. I agree with him. 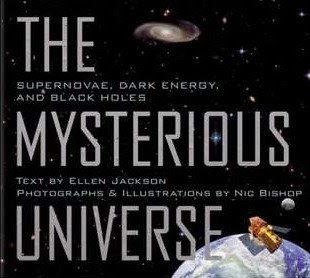 Ellen Jackson and Nic Bishop have done a beautiful job explaining this mysterious universe. Read an interview with the universe here. And get ready for some very interesting conversations with your children. Despite a very busy weekend filled with baseball (what else? ), June is starting off good on the writing front. Tonight while working on the messy second half of my book, my cat came up for cuddles and pets, so I took a little break and pondered, while the cat purred on my lap. I reached over to take this picture once I'd had my epiphany. Bingo! The entire section that I removed (because I was giving my character a break) made me realize how my main character can get to where she needs to be organically. I love it when the plot falls into place. The sad part is that the solution was under my nose all this time, but it never even occurred to me until tonight. I want to stress that a book must come to not just its natural conclusion, but the inevitable conclusion, that things had to be this way and no other. I already had the ending, but there was this gap, where I didn't know how to make my characters go to that place. I made up something, but it was too contrived. Now one thing leads to another and the various threads make a tight braid. I can't help but have a big grin plastered on my face. Never, never settle for less. I think we know in our bones what the right story is. I also think it helps to pet the cat ... the purr-fect solution eventually does present itself. Corollary: do not give your characters a break. They don't need it. Neither do your readers. Make them suffer (the characters, not your readers). 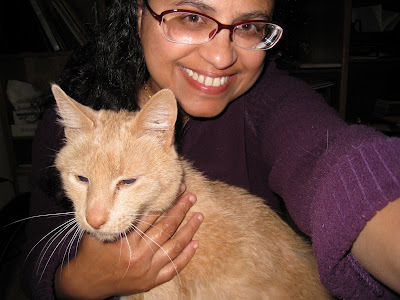 The cat and I bid you goodnight.